Growing up is tough. You're young, awkward, pimply, and what's worse, you lack the perspective to know that this awkward, pimply phase won't last forever, so every problem feels monumental. 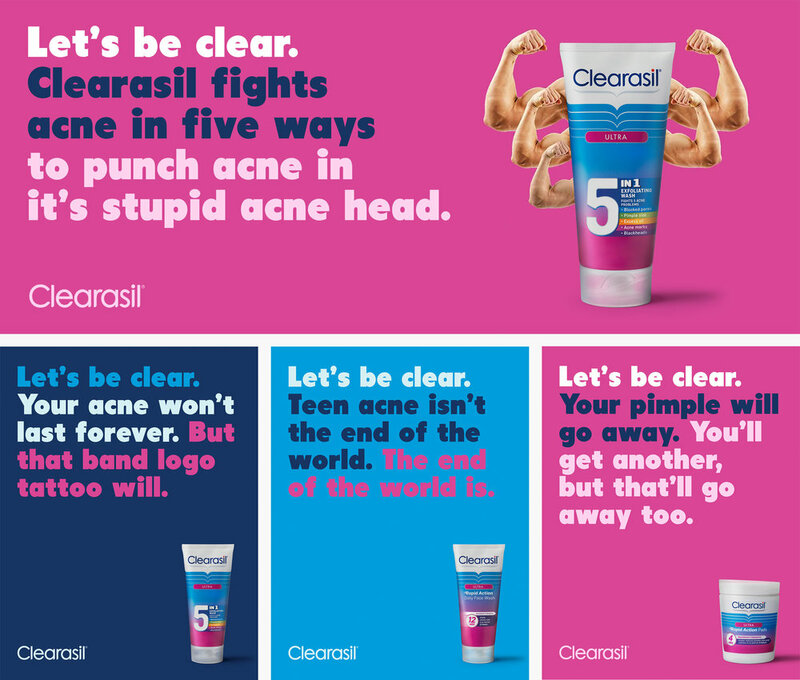 So while every other acne brand promises teens that clearing their acne will turn them into Justin Bieber, the "Let's Be Clear" brand platform was created to give them reassurance and perspective, clearing up a few things about adolescence and reassuring them that yeah, adolescence is awkward- but just like your teenage acne, it won't last forever. We developed a new, less clinical and more teen appropriate look for the brand. Social posts and in-store signage used this look to build on the reassuring "Let's Be Clear" platform.